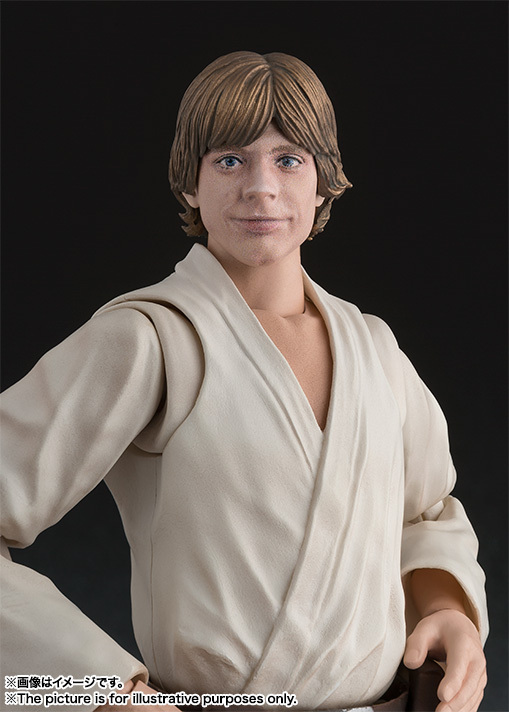 This S.H. 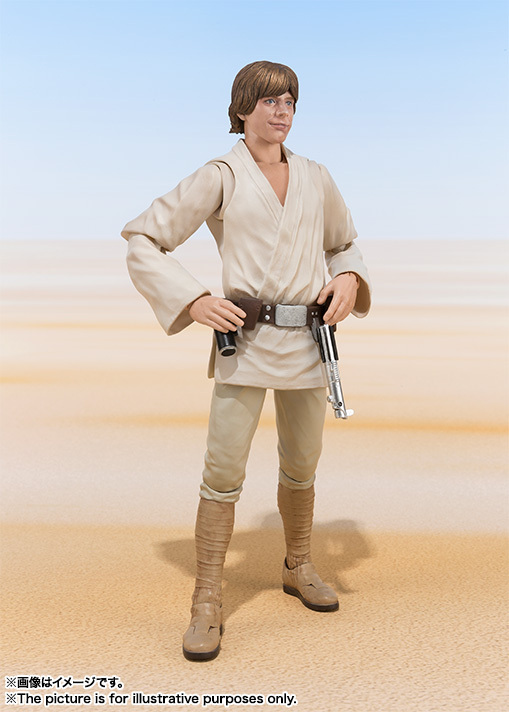 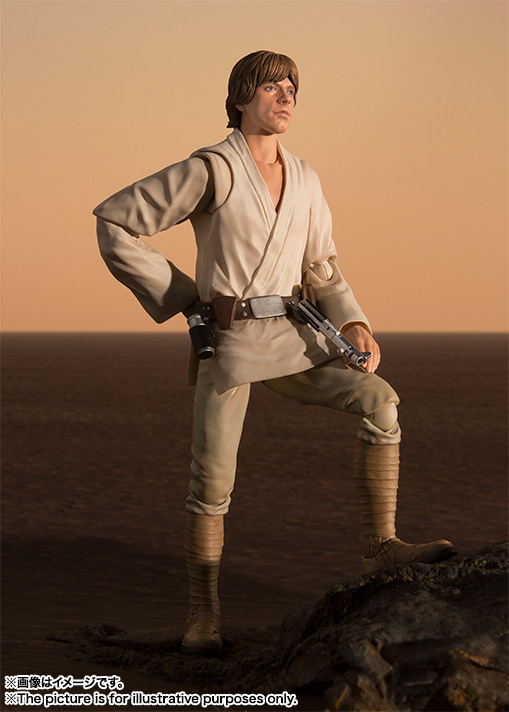 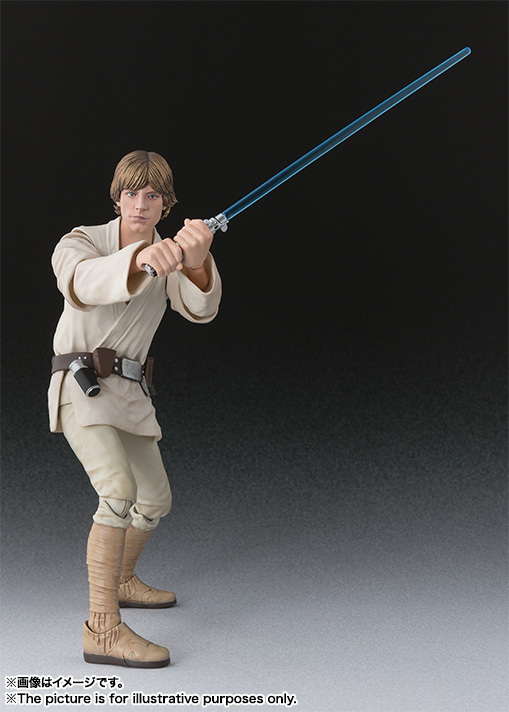 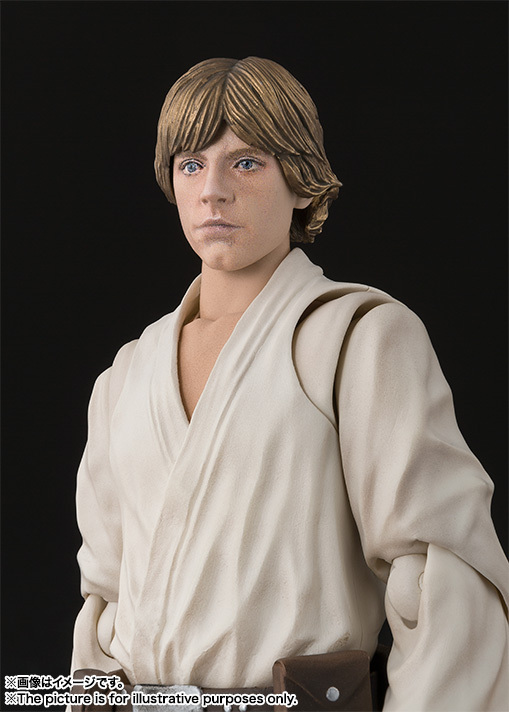 Figuarts represents the farm boy from Tatooine as he appeared in the very first Star Wars film. 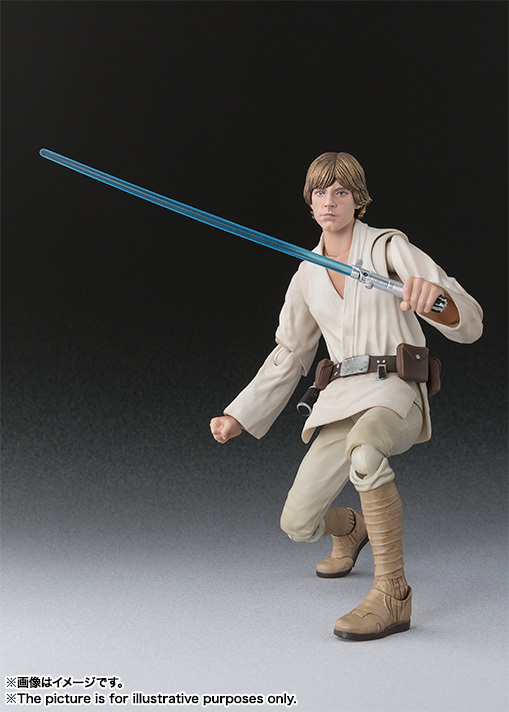 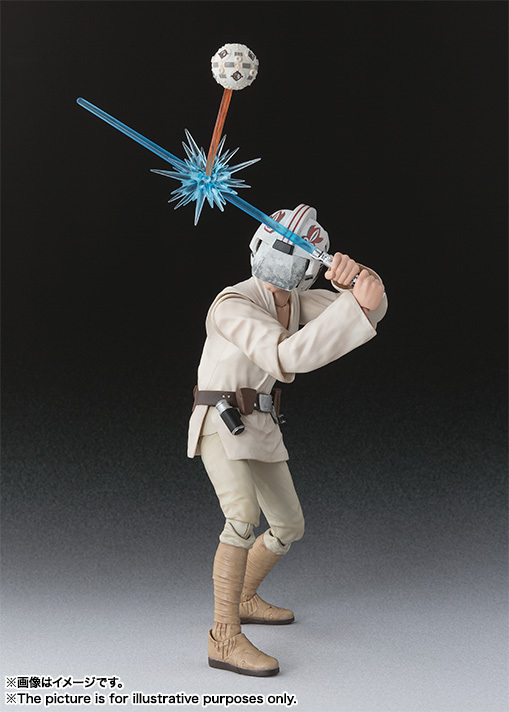 Luke Skywalker comes with his father's lightsaber, a smiling face, a helmet with the blast shield down, and a training Remote with blast effect parts. 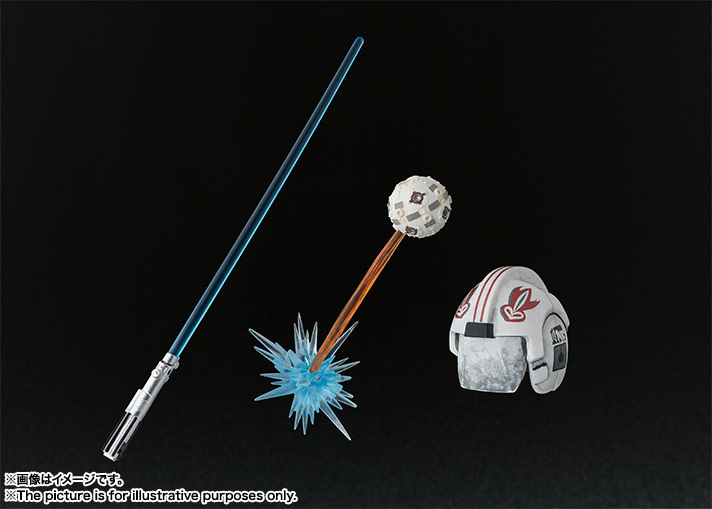 Coming July 2016 for 5,500 yen.